This free standing lace tulip machine embroidery design consists of 2 parts - a center and side. 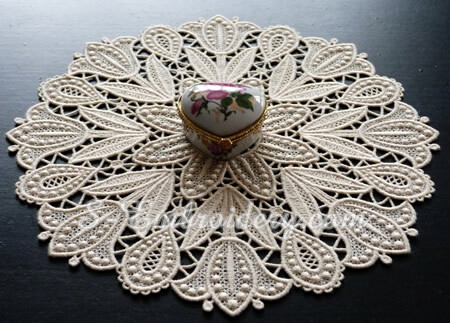 Using a combination of the 2 parts you will create a fine little freestanding lace doily. 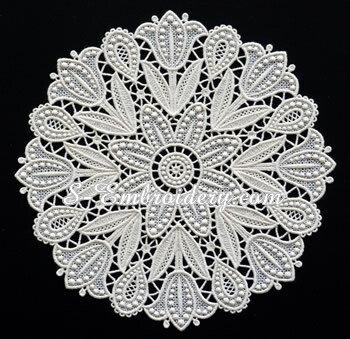 Diameter of the finished doily would be approximately 26.5 cm (10.4 inches). To stitch the design parts you will need a 5x7 (130x180) or larger hoop. You receive 2 machine embroidery files and 2 PDFs with design information and instructions for creating the doily, featured on our site. 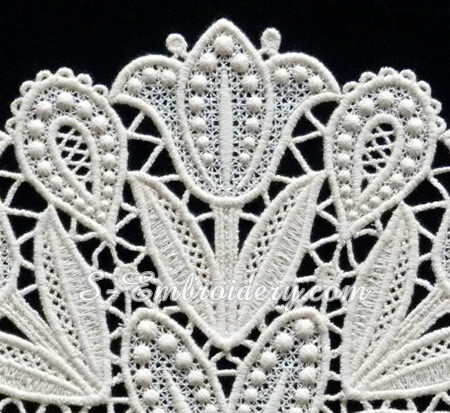 If you are new to free standing lace, you may want to have a look at the step-by-step instructions for creating the doily.